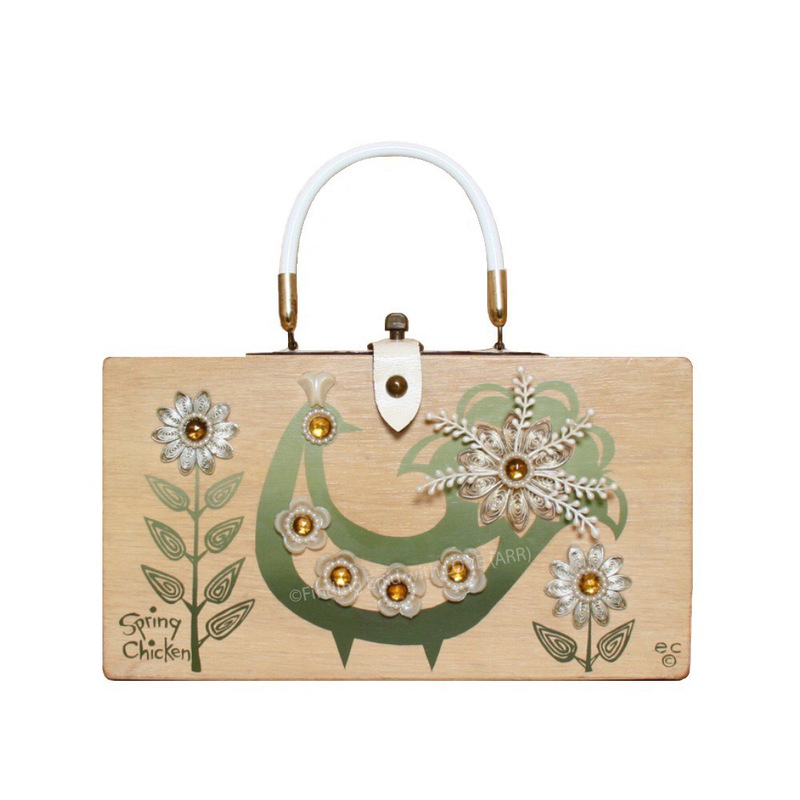 Box purse depicting a stylized chicken and flowers, screen-printed in gradients of green and embellished with faux jewels and accents. Chicken's tail elaborately embellished with silver and pearlescent floral embellishments and amber jewels. Amber jewels and pearl-toned embellishments used in remainder of work. "Spring Chicken" is screen printed in the lower right corner, where Collins regularly titled her work. One of multiple variations on this theme. Shows typical wear, including to handles; original screen print unmarred and vivid; jewels intact, in place and in good condition.